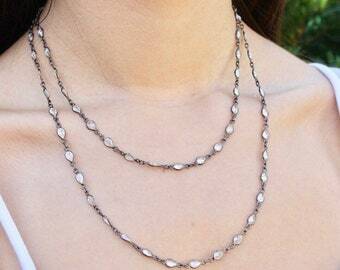 Beaded rosary style necklace wire wrapped forming a dainty chain. Rondelles are 3mm in size. Necklace closes with lobster clasp and comes with 2 inch extender. 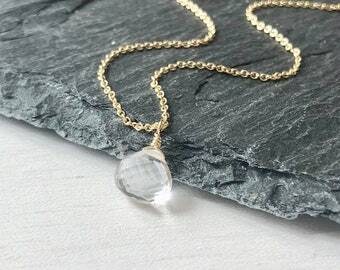 Ideal every day necklace this is understated and very feminine. 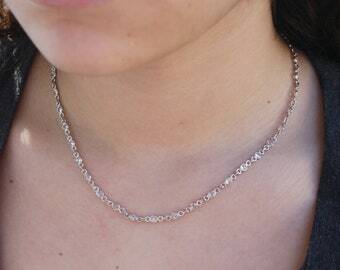 Very popular choice for bridesmaid necklace, we make this design in over 15 gemstones. 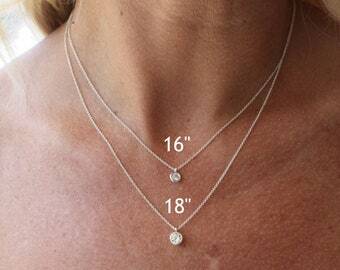 - Necklace Length: Choice of 16 or 18 inches. Necklace comes with a 2 inch extender. - Gift Wrapping Included. Personalized Note Available Upon Request.